The fascinating memoirs of Spanish anarchist, former newspaper boy, civil war and resistance fighter, Miguel Garcia Garcia. Published as Miguel Garcia's story in 1982, this pamphlet includes comments and tributes from Stuart Christie, Albert Meltzer and more. Garcia was born on 3/2/1908 in Barcelona and died 4/12/1981 in London. Thanks to Stuart Christie for this information. BTW, this is a great pamphlet. 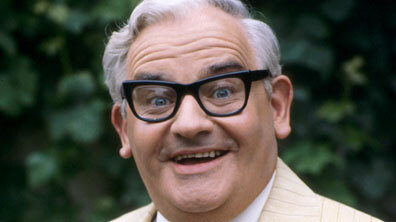 Possibly even better for the fact that on the front cover he looks quite a lot like Ronnie Barker! I was standing in a take-away stone cold sober and holding that pamphlet after last orders on some weekend night in the early '90's and a drunk bloke much older than me caught sight of the name and struggled to pronounce it. I thought I was in for a hard time but his mate piped up with the correct pronunciation and then went on to explain who he was, what he done and what a great pamphlet it was. I wasn't part of the conversation, just some gimp clutching a book waiting for a curry. I've no idea who that person was and I've never knowingly seen him since.. if I had the balls, I would have told him not to spoil the ending. 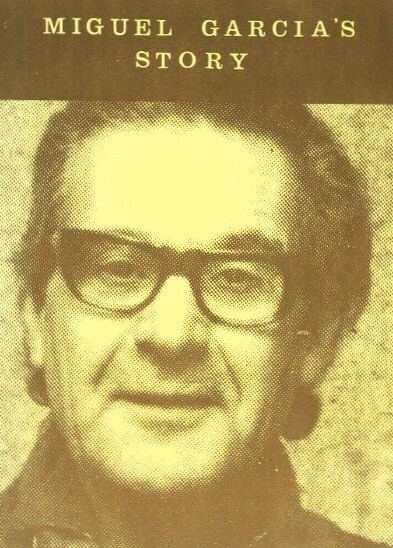 I knew Miguel well, and he didn't in the least look like Ronnie Barker, he was far thinner for a start. As to him looking like Barker on the cover, that's a bit of a stretch of the imagination.